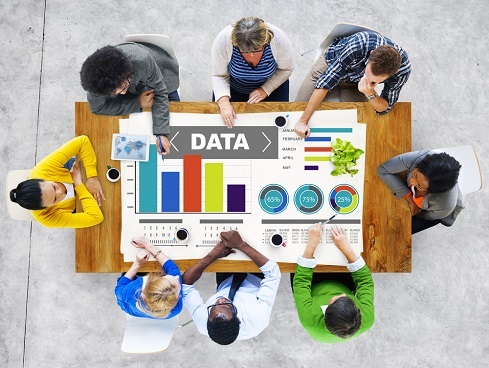 Businesses in the race to become "data-driven" or "insights-driven" often face several disconnects between their vision of an initiative and their execution of it. Of course, everyone wants to be competitive, but there are several things that differentiate the leaders from the laggards. Part of it is weathering the growing pains that companies tend to experience, some of which are easier to change than others. These are some of the stumbling blocks. In a recent research note, Gartner stated, "Internally, the integrative, connected, real-time nature of digital business requires collaboration between historically independent organizational units. To make this collaboration happen, business and IT must work together on vision, strategy, roles and metrics. Everyone is going to have to change, and everyone is going to have to learn." It's one thing to get an insight and quite another to put that insight into action. To be effective, analytics need to be operationalized, which means weaving analytics into business processes so that insights can be turned into meaningful actions. Prescriptive analytics is part of it, but fundamentally, business processes need to be updated to include analytics. A point often missed is that decisions and actions are not ends in themselves. They, too, need to be analyzed to determine their effectiveness. An EY presentation stresses the need to operationalize analytics. Specifically, it says, " The key to operationalizing analytics is to appreciate the analytics value chain." Interestingly, when most of us think about "the analytics value chain" we think of data, analytics, insights, decisions and optimizing outcomes. While that's the way work flows, EY says our thought process should be the reverse. Similarly, to optimize a process, one must understand what that process is supposed to achieve (e.g., thwart fraud, improve customer experience, reduce churn). Less analytically mature companies haven't moved beyond descriptive analytics yet. They're still generating reports, albeit faster than they used to because IT and lines of business tend to agree that self-service reporting is better for everyone. Gartner says "the BI and analytics market is in the final stages of a multiyear shift from IT-lead, system-of-record reporting to business-led, self-service analytics. As a result, the modern business intelligence and analytics platform has emerged to meet new organizational requirements for accessibility, agility and deeper analytical insight." If you don't have good data or a critical mass of the right data, your analytical outcomes are going to fall short. Just about any multichannel (and sometimes even single-channel) communication experience with a bank, a telephone company, a credit card company, or a vendor support organization will prove data quality is still a huge issue. Never mind the fact some of these companies are big brand companies who invest staggering amounts of money in technology, including data and analytics technologies. In a typical telephone scenario, a bot asks the customer to enter an account number or a customer number. If the customer needs to be transferred to a live customer service representative (CSR), chances are the CSR will ask the customer to repeat the number because it doesn't come up on their screen automatically. If the CSR can't resolve the issue, then the call is usually transferred to a supervisor or different department. What was your name and number again? It's a frustrating problem that's all too common. The underlying problem is that customer's information is stored in different systems for different reasons such as sales, CRM and finance.